My running journey over the years, has been a mixture of emotions. Overcoming the fact that I would always be limited in my abilities, compared to others, was a huge step forward. Letting go of the frustrations associated with this set me free. I thought I would treat you to some of my running history in the hope it will continue to encourage you to get out and about. Whatever your activity or ability. I came late to running, signing up for the Great North Run when I was 27. Despite a rocky road to get there, and the discovery that I could run slower than I actually walk, I have been hooked ever since. My body is not the body of an athlete and neither do I wanting to be. I just love the feeling of my body doing something I never thought it could. 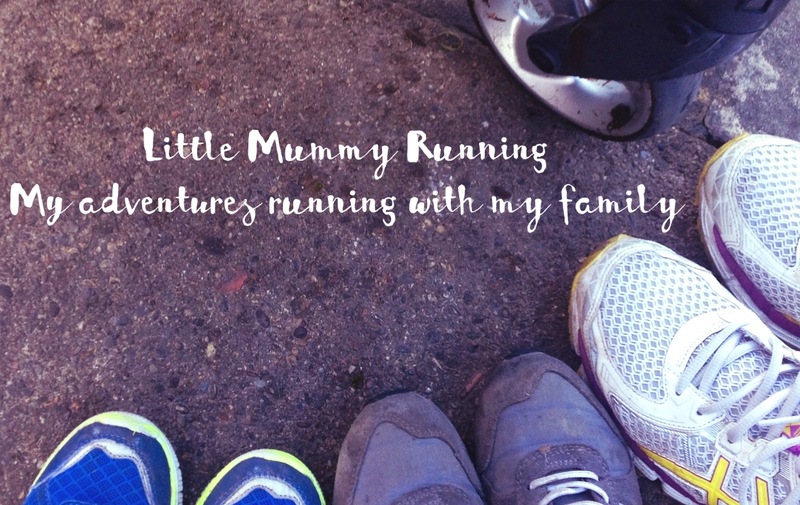 Since having the monkeys I have always returned to running as my ultimate me time. I may not be any faster but I am better at looking after myself. Different training techniques and yoga for core strength mean that I am less likely to injure myself. I have also learned to pace myself and not give myself a hard time about speed or ability. I have always found that setting a goal is a great motivator to keep going. Wether it is a 5k, 10k, half or full marathon, organised events can be great for your confidence. Be the best that you can be, even if you find yourself at the back. I prefer to run outdoors because you feel freer, it is free and the added benefits of fresh air make it more worthwhile. Plus you can actually pretend you are running away from home. I wouldn’t actually do it but pretending sometimes makes it easier to return to the craziness I left behind. Also, I was once told at a gym induction that the speed I was using on the treadmill was not running. Out of breath, with aching knees I was not impressed. Who was she to tell me? I mean it was as fast as I would run if running for a bus. Maybe a bit faster if chasing a child. If you think about it, when your monkeys run they just run as fast as they can, because they can. I run now, however slowly, because I can. Throughout my time running at organised events I discovered an unexpected champion. The first time I encountered the last man car was my first experience of an organised 10k road race. It was two laps of a town centre, the worst kind of race to start with, as within approximately 20 minutes you are being lapped by the front runners. Some, not all, of these lithe amateur athletes will often run past you, as close as possible, so as not to lose a single nano second of their PB. Mostly affiliated to running clubs they have very short shorts (even in winter) and a high tech running watch. If you can run this fast, good for you, congratulations for being your best. However if you don’t run that fast, do not be put off, we’re not at the olympics or school for that matter. Anyway on this occasion there were a lot of these runners, so I fairly soon found myself at the back being slowly tailed by the last man car. A white Vauxhaul Corsa with an orange light on top. Behind him, two men slowly collected in race markers and road cones. At the time I found the whole situation humiliating. I had not trained enough, I was in pain, destroyed physically and mentally. I wanted to cry. Suddenly though, I realised I had company. The last man car had pulled alongside me. He asked if I was ok and if I wanted to continue? He offered me a bottle of water and told me that I was doing great. I decided to continue and I plodded on with my new companion by my side until I reached the last stretch of pedestrianised route. He wished me well, congratulated me then turned off never to be seen again. What a star that man was and so my appreciation of the last man car/bike/person began. After the Great North Run, where I wasn’t the last man, I did not enter many more races for a while. In 2008 I got engaged, with a wedding on the horizon, my groom and I timetabled a list of runs over the 12 months to the big day. This was a mixture of fun runs and more serious races. So I met a few last man persons, on foot, in cars and on bikes during that year. One particular low was being last man the day after a friend’s 30th birthday. Despite good intentions, the free bar got the better of us. So, seriously hung over and not fit to run at all, we set off downhill out of Richmond town centre. The gradient was so steep it could only mean one thing. I would be running back up hill on the way back. My pace was even slower than normal. I plodded around the country lanes, closely followed by the orange flashy beacon of the last man car. Not a single runner in sight. It was cold and desperate. But I was never alone. The last man was there, silently protecting my back. By the time I made it to the finish line everyone had gone home. It was just my soon to be husband with my goody bag and a woman with a clip board, waiting to take down the finishing posts. I threw up on the way home on the side of the road too. While my betrothed sat in the car with his eyes closed and his fingers in his ears, just in case it triggered involuntary vomiting in himself. Who says romance is dead? The final run in our pre wedding schedule was on the Newcastle Town Moor, in November 2009. Once again I found myself at the back followed by the last man bike. In the last section of the route, a marshal, having confirmed that I was the last man, asked if she could run in with me. She flanked me with the last man bike and we ran in together. They encouraged me the whole way, handed me water and kept me laughing. They broke away as I entered the final finishing area so I could be registered for my time. Unfortunately the jobsworth at the finish line declared me disqualified as it was against the rules for a marshal to accompany a runner over any part of the course. I couldn’t help myself but laugh in her face. As I was the last man, I was just grateful to finish. It didn’t matter to me that I had finished last, just that I had finished. So if I can offer any advice from my experiences, don’t be afraid to try because you might be at the back. Even if you are slow, you are going faster than you would be sat on your sofa. You are never a failure when you are taking the steps to achieve your goals. Even if those steps are slow and plodding. When you feel cold, exhausted and humiliated, someone will be there to support your efforts and propel you further forward. You just have to look for them. Unless, of course, they are immediately obvious, with a flashing orange light on their head. Some days your cheerleaders will be silently with you, as you take your time to reach your destination. They will be alongside you, offering encouragement and support. Then some days they will surround you, offering you nourishment and making you laugh. In life, this kind of support is never far away. So, make your goals public to those who you believe will support you and make them your last man person.